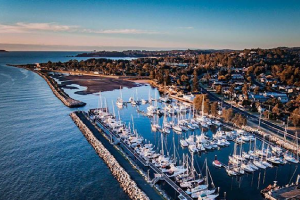 Batemans Bay Marina has been awarded the Gold Anchor in the Gold Anchor International Scheme—putting it at a world-class level for services and on a par with the best marinas internationally. Specifically developed around the needs of boaters, the accreditation scheme—which is managed by the Marina Industries Association in Australia—awards marinas that have quality customer-focused facilities. The rating scheme takes into account marina design and construction, dockside facilities and services, fuel dock, slipway/hardstand (for boat servicing), environmental practices, and land facilities and services. Batemans Bay Marina—with its $4.5 million makeover—offers completely upgraded services. In the past two years, berths have been expanded and berth lengths increased to accommodate bigger boats and more transient vessels. Old timber jetties were demolished to make way for pontoons, and new hardstand and slipway areas were constructed, along with a new carpark, secure boat trailer parking, improved lighting, CCTV cameras and landscaping. 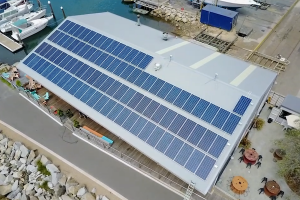 The marina has also made a significant investment in responsible environmental practices, installing a 30kw solar system and making improvements to disposal of liquid trade waste. 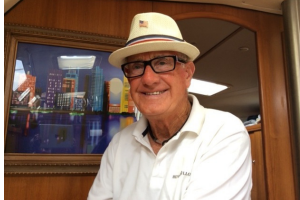 Offering excellent customer service, its General Manager Daimon Martin has been a finalist in the People’s Choice Award for Best Marina Employee in the Marina Industries Association Club Marine Marina Awards. With the Gold Anchor also taking into account food and beverage outlets, and local tourist attractions, Batemans Bay Marina does not disappoint. The contemporary and newly expanded eatery JJs @ the Marina—situated at the marina waterfront—is a favourite among locals as well as tourists, and there is much to see and do locally, meaning marina guests experience the very best of Batemans Bay. 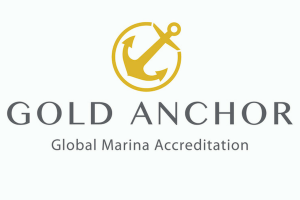 Daimon Martin says the gold accreditation is testament to the hard work that has gone into the marina over the last two years, and the vision to be a first-class destination. “We’re delighted to have secured the Gold Anchor, which acknowledges our efforts to provide a high level of services to our marina guests,” he said. “We’ve gone to extremes to ensure our new facilities meet the most exacting standards. “Quality facilities and thoughtful customer relations are an integral part of our vision to provide best-in-class services. If you’ve read our Feature story, then you already know that Batemans Bay Marina has just been awarded the Gold Anchor in the Gold Anchor International Scheme. 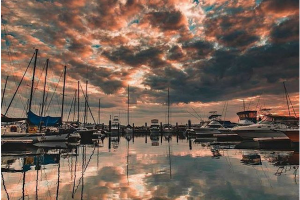 The global accreditation scheme was developed jointly by the Marina Industries Association (MIA) and The Yacht Harbours Association, and provides a template for customer friendly marina service. This is further acknowledgement of the efforts of the team at Batemans Bay Marina, in particular General Manager Daimon Martin, and our focus on being a best-in-class provider of services. Thank you to everyone who has supported us through the last two years of upgrades and for choosing Batemans Bay Marina as your marina. With the boating season in full swing, our local Batemans Bay Sailing Club (BBSC) is well into its Racing Program. You can register for one or several events and meet potential crew—just get in touch. For those who would rather enjoy a leisurely trip, BBSC also has a Cruising Program that you can join. Both programs can be downloaded from the BBSC website. For the fishing folk among us, the Suzuki Tollgate Islands Classic is one not to miss. 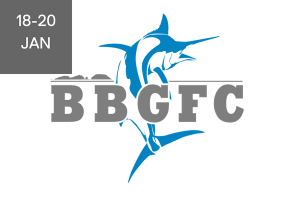 Run by Batemans Bay Fishing Club, it will be held 18-20 January 2019 and there are some fantastic cash prizes up for grabs. If you’ve always thought of getting involved but haven’t, then this is your chance to compete against some of the best. Find out more on the club’s website. If you haven’t seen the fabulous new deck at JJs at the Marina, then make sure you spend some time enjoying it soon! It’s the perfect spot for a gathering of family and friends or a Christmas function. For bookings please call JJs on 02 4472 4499. Thanks to everyone who attended our open boat season BBQ. 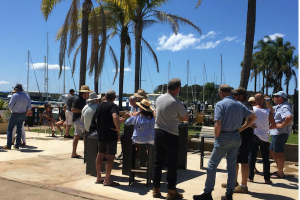 We welcomed more than 60 members to our marina and enjoyed a perfect day in the sunshine. We hope to see you back again next year for an even bigger event. Our new Port Marina Slipway is due to open this month. This is a huge coupe not just for our marina but also for our region, and we know many boat owners are looking forward to a quality professional service. The slipway will be headed by shipwright boat builder Morgan Thompson and high-end fibreglass laminator and spray painter Rance Page. They will offer a range of services, including modifications and repair work, but their focus will be on annual maintenance. Follow us on Facebook @portmacquarie.marina and Instagram @portmacquarie_marina to find out about slipway opening and direct bookings details. The other new kid on the block is Captain Nemo’s, a fantastic new eatery that will showcase the best of fresh seafood and local produce. Business owner Jon Peebles (you can find out more about him in the Local Spotlight section) is also a talented jazz musician, who along with other local musicians plans to provide guests with relaxing live music on the marina lawns outside Captain Nemo’s on Fridays and weekends. In the final phase of its set up, follow us on Facebook @portmacquarie.marina and Instagram @portmacquarie_marina to find out about open and direct bookings details. Maintaining our commitment as dedicated custodians of the waterways, we have a seabin being installed on A-Arm hopefully before Christmas, the first of two units planned for the marina. Thanks to Coastal Warriors Mid North Coast for arranging the funding. If you’d like to see it in action, you’ll get a good view from the deck at Quay Lime Bar & Grill. 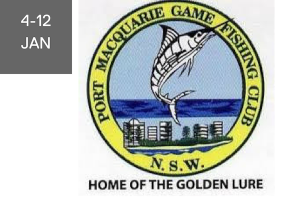 Summer wouldn’t be the same without Port Macquarie Game Fishing Club’s Golden Lure Tournament 4-12 January 2018. Offering more than $50,000 in prizes, the event brings a full house (and more) to the marina. If you haven’t secured your spot, get in touch with the club to register. For more information and contact details, visit the club’s website. Starcraft’s top-of-the-line SX 25 C DC has raised the bar on innovation and luxury. Featuring a sleek new look and specialised recliners, a pop up change room and a slide-out polished stainless steel transom gate (to name just a few), it can support up to 14 passengers and offers optimal power and performance. John Deere Power Systems has developed a new PowerTech 4045SFM85 marine engine ideal for commercial and recreational applications as well as high-speed pleasure craft. Meanwhile Fusion Marine Entertainment recently released a range of new products from new speakers to wireless remotes. A new study from the United States shows fishing is increasing in popularity and the age range of anglers is also expanding, indicating its reprisal as a family affair. 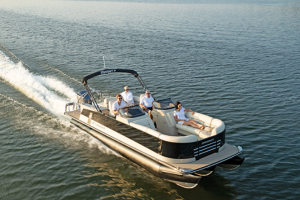 Boat builders are taking note, and are now including features designed with families in mind. But, for one family, inexperienced boaties panicked and called 911 when humpback whales began swimming under their boat. Let’s hope they’ve since learned what an amazing thing they experienced! Eurobodalla Shire Council is delighted to announce the NSW Government has committed $150 million to build a regional hospital in Eurobodalla. The long-awaited hospital will provide a much-needed level of service and a range of flow-on benefits to the region. Find out more here. Port Macquarie-Hastings Council is encouraging the community to keep local waterways clean with its new PicItup program. Most marine litter comes from the land so keeping the water clean means picking up litter from streets as well as waterways. Free Picitup Litter Kits are available from Council. 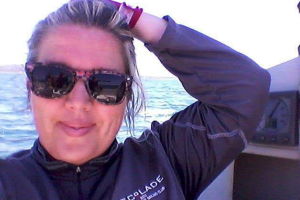 Lara Phillips started sailing competitively from Batemans Bay Marina almost 20 years ago. Growing up in the Bay, Lara says she feels more comfortable on the water than on the land. “I remember being annoyed when my father chose my sister Heidi to take on a night sail to Montague Island on a little 22ft sailing boat. I loved the water, she loved horses. I was only 10 but knew where I wanted to be,” she said. Lara spent her first three years competing on board the Farr 1020 Roncador, with a strong and committed crew. “It was a fantastic yacht to cut my teeth on,” she said. “Since then I’ve lost count of the amount of events and different keel boats I’ve sailed with. “I’m fortunate to sail with some of Australia’s best sailors, and within a body of water that can replicate the tropics one day, or a relaxed southern sea the next. Lara has been a member of Batemans Bay Sailing Club for more than 13 years and Vice Commodore for the past four years, and is keen to see more people take up sailing. “A lot of people don’t realise they don’t need to own a boat to experience sailing. Many of our members sail as part of a crew. It’s as easy as trying it one day, and if you like it, you can sign up for many more adventures. Jon Peebles has led an interesting life. A dedicated jazz man for 50 years, he spent his formative years in Glasgow, Scotland, before migrating to Australia in his 20s (he still carries a pretty thick Scottish accent). Basing himself in Melbourne and then Albury in New South Wales, he raced catamarans in Mulwala and enjoyed a life of luxury before moving to the United States and finally returning to the land down under on a yacht. “I sailed from San Diego down the coast to Mexico, across to the Marquesas and then onto Bundaberg. When I got to Port Macquarie I stopped, because I liked it,” Jon says of his two-year voyage on a Hunter 47. Calling Port Macquarie home since 2015, he has swiftly made his mark. Jon’s music agency MuzikWorx supplies musicians, instruments and DJs for events in the region (they supplied the music for the opening of Sails), and now he is throwing food into the mix. Captain Nemo’s—opening soon at Port Macquarie Marina—will offer locally sourced fresh seafood and seasonal produce, along with live jazz music on the green overlooking the marina on Fridays, Saturdays and Sundays. “I’ll be playing along with local musicians and sharing my passion for jazz with our guests. It’s going to be great fun. 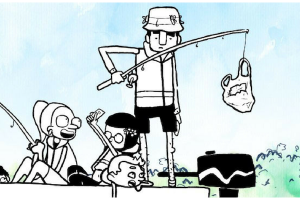 “It’s all about bringing us back to basics, enjoying fresh produce and sharing the pleasure of music with everyone, at the water’s edge. Life really can’t get any better than that,” he said. Captain Nemo’s—named after Jon’s fascination with Jules Verne’s fictional character—looks forward to welcoming guests and inspiring you with the delicate sensations of nature. Captain Nemo’s is opening soon. We’ll keep you posted on Port Macquarie Marina’s Facebook page @portmacquarie.marina and Instagram account @portmacquarie_marina. 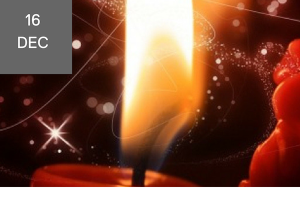 Moruya Carols by Candlelight at Riverside Park Ampitheatre, Moruya, 7:00-9:30pm. 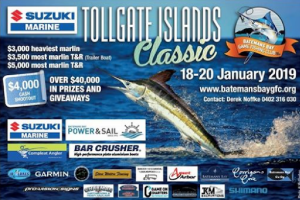 Suzuki Tollgate Islands Classic with thousands of dollars in prize money and bragging rights up for grabs. 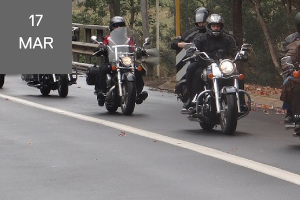 Black Dog Ride to raise awareness about depression and suicide prevention, Batemans Bay Marina. 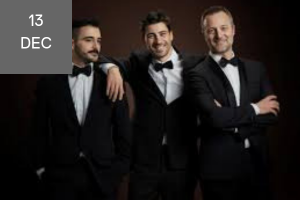 Treat yourself to The Italian Tenors at the Glasshouse, Port Macquarie. 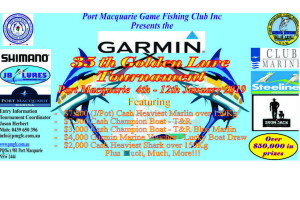 Port Macquarie Game Fishing Club’s Golden Lure Tournament offers more than $50,000 in prizes. 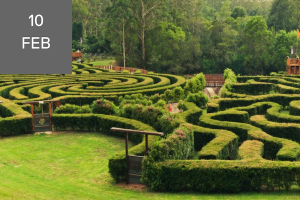 Join in the fun at the Annual Grape Stomping Championships at Bago Vineyards and Maze, Wauchope.